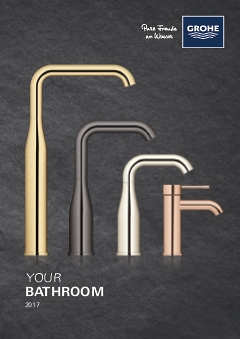 The Universal lavatory tap is practical in every way and specially made for smaller spaces in house, such as the toilet. Its design is intentionally sober and smooth. The tap has an angled shape and fits perfectly with rectangular fountains. Hygiene has always been a focal point in design. The tap is opened with the convenient twist mechanism at the tip of the crane. So your hands make minimal contact with the tap. In addition, the GROHE StarLight chrome layer is super easy to keep clean.